$628,000-668,000. 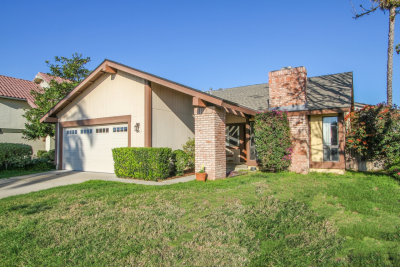 Bright beautiful open 3BR/2BA well-maintained single story family home in highly desirable Rancho Penasquitos! Entertain in your spacious living room with charming brick fireplace, dining room with built-in buffet and updated kitchen with granite, LED can lights, stainless steel oven, microwave, and breakfast bar. Family room opens to large private grassy yard to relax and BBQ! Master suite has sitting area, 2 closets and en suite bath with granite & travertine floors. Open floor plan, natural light, custom paint, soothing colors. Walk to 4 top Award-Winning Poway Schools! Close to parks, freeways, and shopping. A Hidden Jewel! Must see!